The song “The Roots” rapped by Didier Awadi and M1. It is a striking stand against imperialism and white superiority. The song says: “I ain’t a black man, I am an African.” This might be used to describe the way non-blacks perceive all black people as the same. Every black person has his or her own history and culture. It is impossible to generalize a whole race. 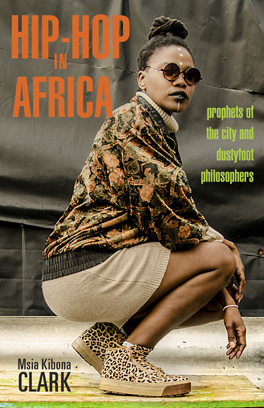 The song describes the way developed countries and the efforts colonialism take to diminish black culture, and more specifically African culture. Awadi is proud of his “melanin” which is a clever way to say the color of his skin. The song also notes that you cannot separate their skin color from their culture. Perhaps this is largely because colonialists have always used segregation and racism to form distinct lines; at this point there is no taking away this distinction. Being proud of one’s culture is terrific, which is what Awadi tries to articulate. One really important line in the song is “ I am not a brand, understand, I am a human being.” I found this to be quite profound, especially when it comes to cultural appropriation and the outright theft of black culture in western societies. The song also states that they don’t need guns, which might be a jab at America that greatly favors its arms. The song is filled with potent messages, but another one that particularly stands out is the line: “They try to make us hate each other and write us out of the history books.” I actually had to rewind this part of the song because of how accurate it is. Black history is often portrayed as an other and is all too brief in American education systems. They are perceived as the transgressor, as the inferior, and as the uncultured when this far from the truth. The song ends with an American president proclaiming that he wants everyone to be brothers, but there is a clear undertone of ignorance and lack of empathy in his voice. Awadi is calling for change and for intercultural respect for all races and peoples.